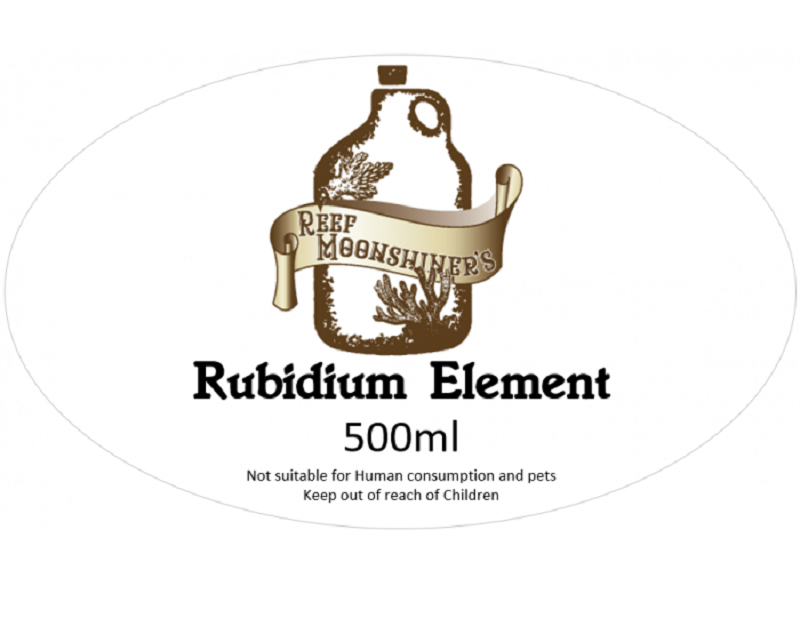 Reef Moonshiner's Rubidium Element for enhanced coloration in a crazy Reeftank. Our tanks usually deplete to non detectable levels for common ICP laboratories. Maintenance to be determined via ICP Tests and careful observation.